Cache 'n Carry | Official Blog of David Pechon…whatever, who does that guy think he is? Yesterday it was announced that IBM will acquire Red Hat for $34 billion dollars. This is perhaps one of the most significant acquisitions in recent history in the information technology industry. Red Hat is a leader in enterprise Linux and one of the main companies bringing open source software to the enterprise for quite a while. In my opinion, it makes sense for IBM to supplant itself as one of the major players in the hybrid cloud game. This acquisition will add yet another enterprise-class operating system platform to its portfolio that includes AIX on its Power hardware as well as z/OS on its mainframe systems. Red Hat Enterprise Linux or RHEL can already run on Power and IBM Z series mainframes. Time will only tell what will come of IBM’s purchase. Both companies have been working together already for the past 20 years, I suppose it was only a matter of time that Red Hat became an official part of IBM. Dismissing new tech is no way to justify yourself. True, dynamic RAM or DRAM will always beat everything else. However the problem with DRAM is that it’s not persistent storage. Once power is cut off from DRAM, you lose everything. That’s why you don’t see many storage arrays use DRAM exclusively. The industry is trying to change that with whats called storage class memory. Storage class memory gives you the speed that’s very close to DRAM with the persistence of NAND flash. Intel’s Optane flash is one such example. I find it interesting that there are representatives of vendors that are willing to dismiss a technology because they don’t currently support it. To me, that’s dangerous thinking. NVMe removes the bottlenecks caused by SAS and SATA interfaces, allowing for much better throughput that is expected from all flash storage. Besides, I don’t think any all-flash vendor was concerned with a niche product like DSSD. 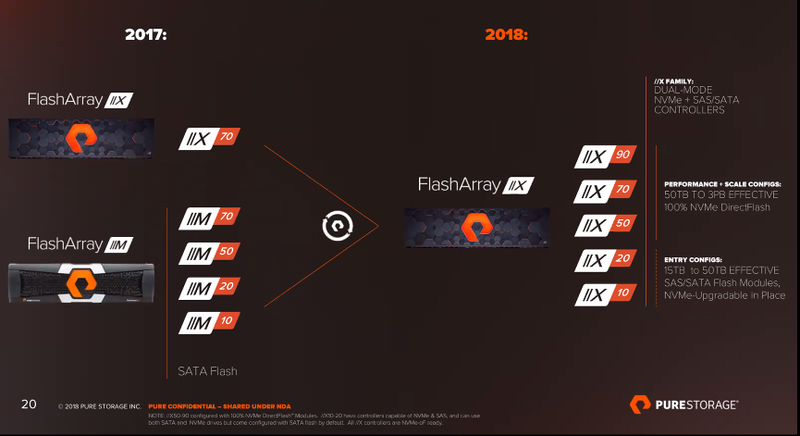 Even the article cited from The Register mentioned that those who needed storage for high-performance computing felt mainstream all-flash arrays fulfilled their needs. You see this among IT vendors all the time. It’s either the marketing speak or basically just drinking the corporate Kool-Aid. You should never completely dismiss a new technology, otherwise, you’ll find yourself left in the past. If you asked me five years ago what I thought about hyperconverged systems, particularly Nutanix, I probably would have dismissed it. Most of the players then were niche, startup companies all vying for the attention of anyone willing to give them a chance. After a couple years, I realized how wrong I was as larger companies were taking notice. For instance, VMware introducing vSAN. Later on, Dell partners with Nutanix to sell their software on Dell servers. 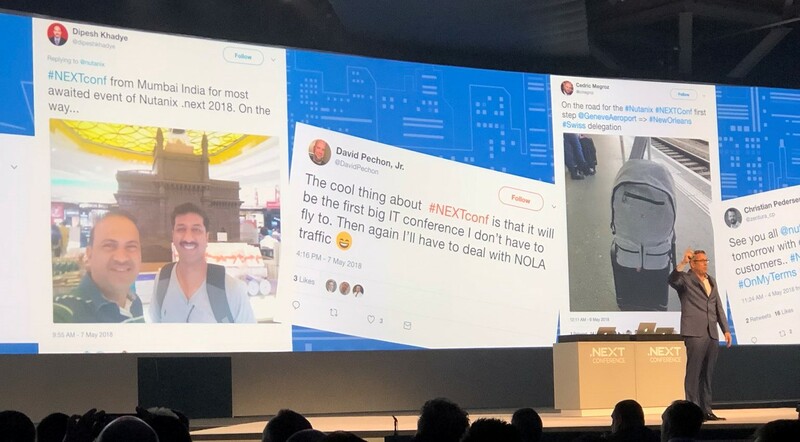 This year I had the opportunity to attend Nutanix .NEXT, their annual conference which was held right down the interstate from me in New Orleans. Well, there’s my 15 minutes of fame, my tweet featured on a keynote speech. First, I have been very impressed on how quickly Nutanix has grown to be a major player in datacenter infrastructure in addition to their software offerings that continue to disrupt how we do information technology. It’s not just about replacing traditional infrastructure with scalable nodes in a software-defined stack. It’s about getting you to shift the way you do IT from the traditional client/server model to a web scale cloud infrastructure that obfuscates the notion of on-premises and public cloud. Basically, what’s underneath a presentation layer is practically invisible. Nutanix Beam – Beam is a Software-as-a-service, the first of its kind for the company, which allows organizations to manage multiple clouds, including on-premises cloud on Nutanix infrastructure. Additionally you can do cost analysis, regulatory compliance, and security compliance from a single console. The big feature that really impressed me wasn’t just showing my periodical spending with public cloud but how much I could save if I’m just wasting resources and where I can cut such waste. 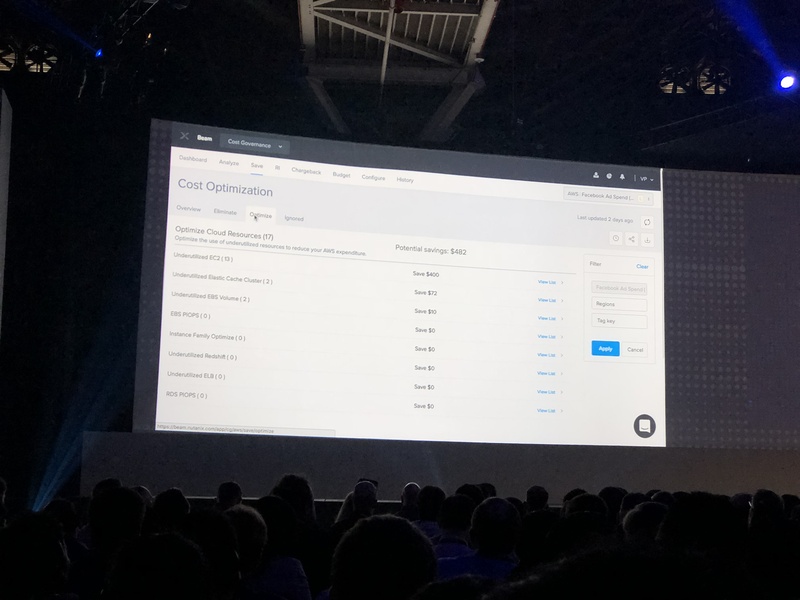 Even better, with Nutanix’ Xi cloud services you can take advantage of AHV or vSphere deployed in Google Cloud Platform. Right sizing on the fly, the right way. Nutanix Flow – Nutanix’ answer to VMware’s NSX, only easier to manage and implement. While it may not have the feature parity of NSX, it does include the capability to do microsegmentation that allow organizations to further secure applications. Everything is easily managed from Prism Central. Object Storage Services – Nutanix AOS has been webscale for quite a long time, not surprising that object storage is now supported. If you have a need for S3 compatible storage, have Nutanix nodes in your datacenter, and don’t want to manage yet another storage system your prayers have been answered. OSS also includes support for encryption, role based administration, quotas, and WORM. Further improvements to AHV – Acropolis Hypervisor is the plucky new kid on the block that has been looking more and more like an enterprise heavyweight to finally break the duopoly of ESXi and Hyper-V. In the 5.5 release announced earlier this week you should see vGPU support, RBAC, and AHV turbo mode. The latter is an optimized data path between the VM and storage. 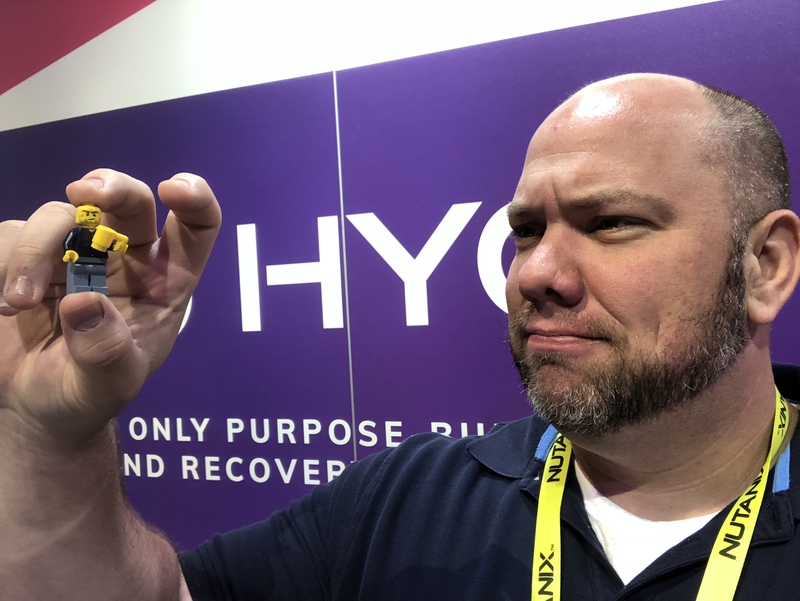 More Nutanix customers are starting to adopt the KVM based hypervisor as they find it supports many of the same features they need from the other two, without the associated cost. Other than that there were plenty of excellent sessions and courses with plenty of information. Additionally, other partners of Nutanix were on hand to show how their products integrate into Nutanix’ offerings. I certainly enjoyed the conference and hope to have the opportunity to attend next year. If anything, Nutanix has shown they will not let up despite their lead in the hyperconverged infrastructure market. I made a backup of myself. The size is phenomenal, got to love the storage efficiency here or perhaps I’m just full of hot air, who knows? Yeah, I know, it’s been quite a while since I blogged. I paid for this domain, may have well do something with it. Watch this space, that is if anyone is watching, for more stuff.